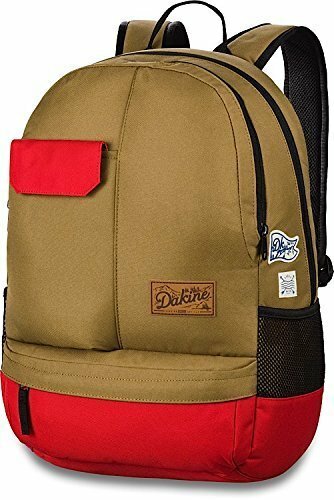 As much as you might hate to admit it, it's time to start getting ready to go back to school, but the good news is the Dakine Semester 28L Backpack is here to ease the transition with a functional design that will keep all of your school gear neat and organized. An ergonomic foam back panel makes lugging around all those heavy books as comfortable as possible, while a padded laptop sleeve protects your computer from those same books. A separate tablet pocket makes for easy access between classes, and a front sunglasses pocket means you won't keep losing your favorite aviators.